This is not a happy story. This is a sad story. This is the story about a lonely, lonely whale. Under the deep waters of the ocean it’s quite hard to see. It’s really rather dark. Molecules diffuse very slowly in water compared to air, so smell is also quite limited. 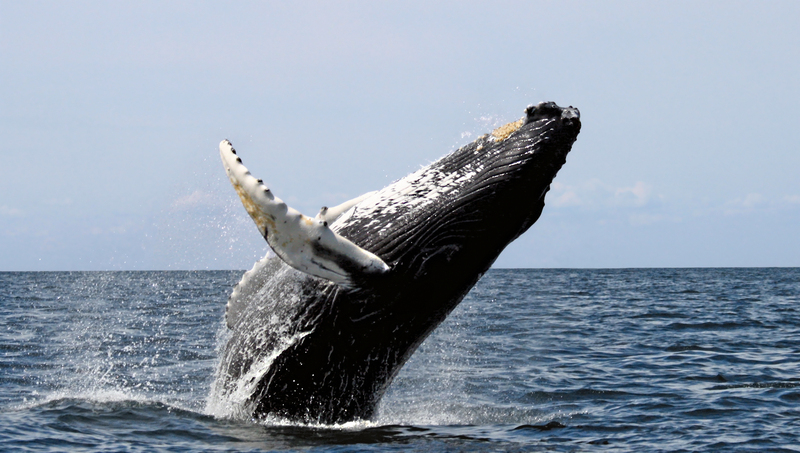 So whales and other mammals rely on sound. Sound waves propagate much faster in water than in the atmosphere at sea level (4 times as much). Some marine mammals, such as dolphins, use sound for echolocation. They produce a series of high-frequency clicks to get information about their environment, in much the same way as SONAR. Whales on the other hand, use sound to communicate with each other. We don’t really know the purpose of such communication, but we do know that it is important. There is speculation that the increase of noise in the oceans could have a severe effect on the already small population of whales. Humpback whales are well known for the complexity of their songs. As the songs are sung during mating season, it’s thought that they are used for sexual selection, much like the songs of some birds. You can buy humpback whale songs on CD, if you’re into that kind of thing (apparently they’re quite soothing). But let’s get back to our story. Scientists use hydrophones (aquatic microphones) to listen to and record whale sounds. They then use this information to track the seasonal movement of whales. Baleen whales, which include blue and fin whales, produce sounds in the 10-20 Hz range. However, since the late 80s, scientists have been tracking a lonely whale which, while producing songs that are distinctly baleen-like, sings at a much higher frequency, between 50 and 52 Hz (higher in relative terms, 52 Hz is still quite a deep sound to human ears, close to lowest note on a tuba). Scientists believe that these sounds are not of a new, previously undiscovered, species of whale, but that they in fact belong to the same individual, dubbed (creatively) as the “52 Hz whale”. The whale’s movement patterns are similar to that of a blue whale, but the timing of its migrations is more similar to that of fin whales. It has been recorded as far south as California and as far north as the Kodiak Islands, south of Alaska. There are a number of hypotheses as to why this whale seems to be so out of tune. It could be malformed or a hybrid of two species. Others have speculated that it could also be deaf or the last remaining individual of a now-extinct species. Since the whale was first tracked, its voice has deepened slightly, showing that it has matured. For the last 25 years or so, this lonely whale has been traveling across the Pacific ocean, calling out to other whales, who probably can’t understand it and can’t respond in the same tune. The fact that it has survived this long means that there probably is nothing wrong with the 52 Hz whale. Still, whale songs are already sad and mournful enough, this puts a whole new sad spin on it. Tindr for whales? anyone? no?